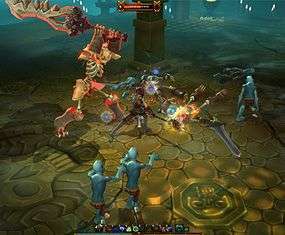 When Runic Games first released Torchlight it slotted nicely into hack and slash dungeon crawling genre with relative ease. Met with critical acclaim for ticking all the right boxes the sequel, Torchlight II looks to build upon the foundations left by its predecessor and aims to scale new heights as it brings a raft of new features to the table while tweaking and improving those already present. 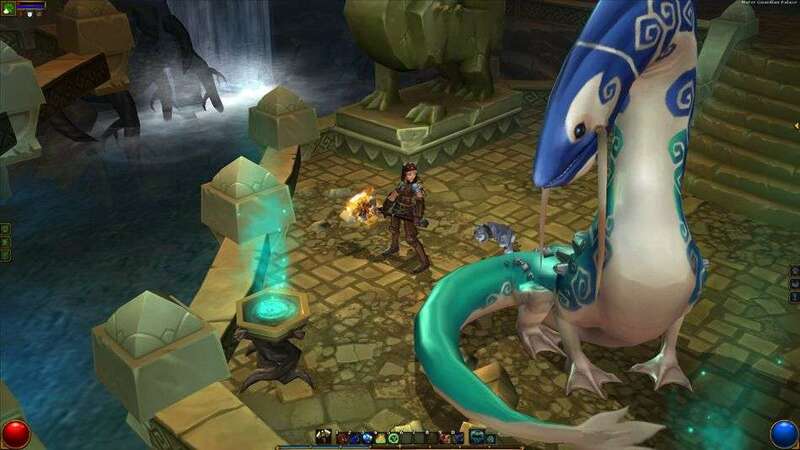 Now, two years on since the original release, all eyes have started to turn to the sequel which looks to take everything Torchlight did well and build upon it. I sat down with Runic Games at this year’s Gamescom to get a closer look on just how the game is shaping up. It’s not often that I’ll start off talking about the graphics in a game, but it was quite literally the case of being blown away by how much of an improvement there had been when compared to the original. That’s not to say that the first had any sort of graphical weakness – this is more a testament to the sheer beauty of the latest installment. Their vibrant nature ensures that the colours are a thing of beauty, with the subtle green tones within the grass blending seemingly into the tan brown rock faces, the light causing your shadow to dance around as you weave your way through the world. It’s not a game that will ever compete with the big guns in terms of raw graphical prowess but it has something else, it has that extra spark that makes it so attractive – it is, dare I say it, art. One of the biggest criticisms about the first Torchlight title was that it lacked any multiplayer feature; thankfully this has been addressed in the sequel and takes shape in numerous forms. Mutliplayer can be done in one of two ways: you either play online or locally via a LAN. It was the LAN feature that was on show and there’s no easier way of talking about it other than by simply saying, “it works”. Players dropped in and out of each others’ games with no hassle at all, free to either hunt together or go off, lone wolf style, while always remaining in the same world. 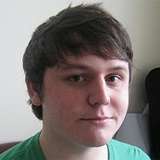 Difficulty is addressed with the game scaling it up and down dynamically depending on the location of all the players. Should you and a friend be stood within close proximity then the game will see to it that the enemies won’t just get steamrollered and die. Move away from your multiplayer partner and the enemies will revert back to their normal self. It’s a simple system, but one that carries the mantle of “the simplest things in life are often the best”. It works, does exactly what it says on the tin, job done. Currently, Torchlight 2 is set to allow for a maximum of six to eight people to play at the same time, with the limit imposed for the sole reason that any more than that and it ends up just not being fun. 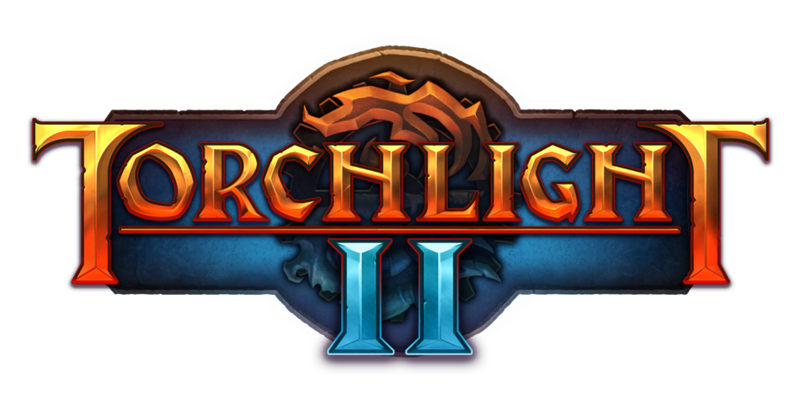 Regardless of how you prefer your multiplayer, either via the internet or a local network then Torchlight II has you covered, and early indications show the potential for a great deal of enjoyment to be had. Gone is the linear feel, replaced now with a much more open world for you to explore, meaning that the random generated system is no longer constrained to the dungeons, but will also be effecting the wilderness as well. While traversing the randomly generated worlds you don’t just find yourself moving around above ground, but you’ll still have ample opportunity to take in a bit of sightseeing within the recesses of the game’s many styles of dungeon, which themselves have seen an improvement within a number of areas. Not only do they also benefit from a better graphical palette but there are also little gameplay touches that bring about the extra layer of depth that was sometimes previously lacking; something as simple as monsters spawning in a variety of ways, such as spiders dropping from the ceiling or skeletons clambering out from within a hole being just two examples. It’s not just the dungeons that have had a bit of a gameplay tweak but systems such as boss monsters have also been improved upon. Bosses themselves now have far more variety, with many resulting in specific tactics being needed to defeat them. The one I encountered was much like your standard Ogre but, while it may not have been the fastest enemy you’ll encounter, it made up for it through the small, mushroom-like creatures that it spawned, as if someone had just placed a couple of batteries within a Portobello mushroom. Confirmation was also given regarding the modding tools that are due to ship with the game, said to be a lot more powerful and easier to use, which should result in the creation of some terrific user-generated content. If you don’t like the multiplayer limit then you’ll have the ability to mod it out, replacing it with a figure of your choosing. Do you have thirty friends that all play? If that’s the case then it would be entirely possible to create a multiplayer mode that allowed for everyone to play with each other. Torchlight II is more than just a sequel with extra levels and better graphics; it’s a true sequel that has taken the foundations of its predecessor and built upon them with a master-class in game development. My time with the game was short-lived but it left a lasting impression and, throughout all of Gamescom, was one of the few titles that left me cursing at the same time as I longed for just five more minutes. All things going to plan, Torchlight II is currently penciled in for an October release and, from the evidence of what I was shown, it’s looking like not only meeting all the expectations of its fan base, but also looks set to raise the bar for the genre entirely. Worth checking out, categorically. I was very pleasantly surprised by the original and how nicely it filled a Diablo shaped hole in my gaming world. I’m most intrigued by the random generation as that should add more re-playability if you aren’t always going over the same ground. Hopefully the single player experience and narrative won’t be tossed aside to make way for the multiplayer aspect of things. It was actually the graphics which got me interested, as I had no idea until recently what Torchlight actually was. I had assumed it was an RPG and it does look pretty tasty.